Oh yeay, today’s National Price Hike Day…. I love a good celebration day as much as the next guy and I’m all about National Nutella Day or even National Lost Sock Memorial Day (True Story – 9th May) but I just can’t get behind National Price Hike Day. 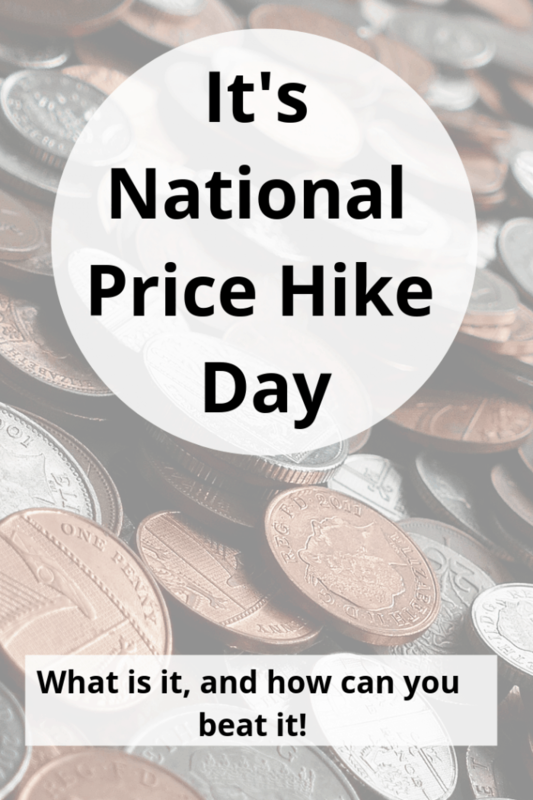 I’ve heard National Price Hike Day mentioned a few times lately and decided that it wasn’t one I wanted any part of. It seems like I’m not going to have a choice though so I thought I’d share a few ideas for how to avoid the apparently inevitable price hikes that are predicted to be announced at some point today. 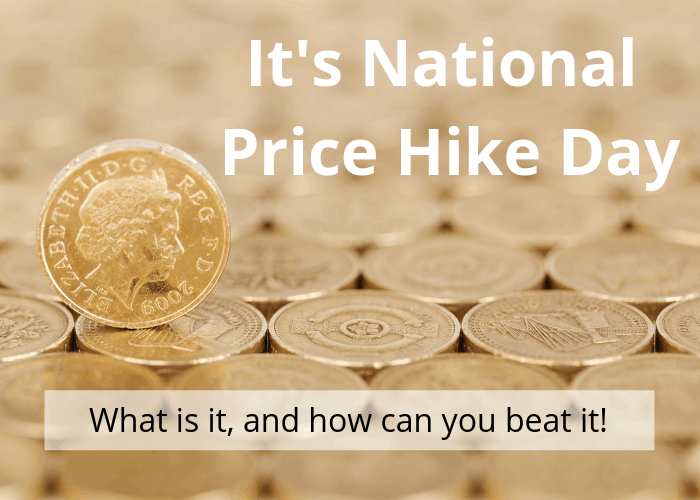 In case you’re still blissfully unaware of what National Price Hike Day actually is, it’s the day that lots of price hikes come into force across the UK affecting everything from council tax to energy bills and from stamps to prescriptions with lots more things in between. These price hikes come into play on the 1st April usually so it’s not a new thing, maybe just one that I’ve never really noticed in the past. I know mine’s gone up as I got a delightful letter a few weeks ago letting me know so we now pay £165 a month for ours which I think is above average. There’s nothing at all that you can do to beat the council tax rise unfortunately but you might want to check and make sure you’re at least paying the right amount. Some houses (not many I don’t think) are actually classified incorrectly and are paying the price for the wrong band. Apparently, water rates are set to rise by around 4% which will have varying impact on the actual amount you’ll pay depending on where you are in the country. We’ve been really focusing on reducing our water usage after some higher than expected bills and we’re now sitting at a monthly payment that’s pretty healthy for a family of four in our area. You can’t stop the increase going ahead but you can reduce the impact on your bill if you have a water meter as you can easily change a few small habits to save money. You could easily negate the impact of the price rise and much more by changing some really small things. I can’t predict how this one’s going to affect us but energy prices are due to rise as OFCOM have announced an increase to the amount that companies can charge on their standard variable rates following some wholesale energy price hikes. This means that most companies are expected to announce price increases in line with this (if they haven’t already). The reason I say that I can’t say how this will impact us is that we’re with Bulb and only last week I got an email (the second of its kind in four months) to say that their prices were being lowered. This was after the OFCOM announcemnt so surely they would have known what the situation was and wouldn’t have sent the email if they were going to have to follow it up in a week to say they’re going up again! Or is that just me being naive? 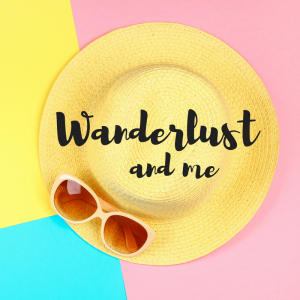 You can definitely shop around to see if you can save money on what you’re paying now – use price comparison websites and cashback websites to work out what the best deal for you is and unless you’re super savvy and already on the best deal around then I bet you could save enough to beat the price hikes. And if you fancy trying Bulb then use my refer a friend code and we both get £50 when you switch. 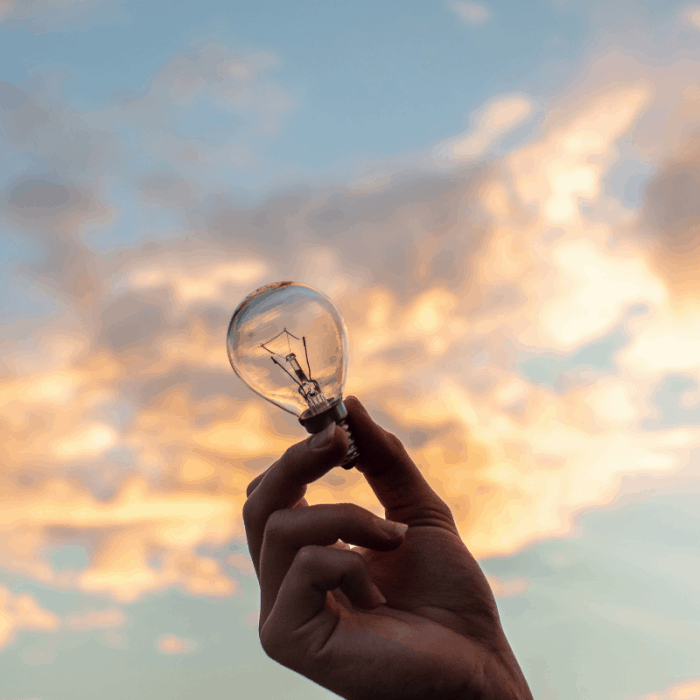 You might also want to have a read of this post – 10 ways to reduce your energy bills. Prescriptions are set to rise by 20p to £9 from tomorrow which, although not huge if you just need one prescription, isn’t great if you need a few. The good news is that the cost of a prepayment certificate is staying the same – £29.10 for a 3-month certificate and £104 for a yearly one. This covers all your prescriptions for that period, no matter how many you need so it’s definitely an option to save yourself some money in the long run. I had one after my operation for 3 months and it was totally worth it with all the creams, tablets and painkillers that I needed to take for a few months. Last year EE messaged me to say all of our phone charges were going up by a small amount (I think it was under 3% which was less than a pound in real terms) and at the time, I wasn’t overly bothered because of the small amount. I did manage to negotiate what I think is a pretty amazing deal not long after though which cost us less than we were paying at the time for WAY more data so if you’re not tied to a contract then it’s worth calling your provider and seeing what they can do for you. Price increase or not. We’re with Virgin Media for our TV/Broadband simply because they were the first to offer high-speed broadband in our street and we had a letter a couple of weeks ago advising that our monthly payment was going up. I believe that Sky is doing the same for their customers although their increases depend on what package you’re currently on with them as far as I know. There are a couple of ways to get around this increase though so it’s potentially not as bad as it seems. You can look at reducing your package and changing things up a bit if there’s any room to do that or companies like Sky and Virgin have retentions departments that you can be put through to if you ask. 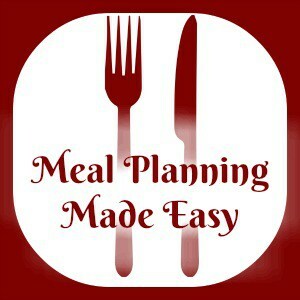 These departments have more power to offer you the good deals so you might get a reduction in your cost or at least more for what you’re paying. They don’t do it in all cases though but it’s worth a try and if they don’t help, consider a service like NowTV. Car tax is going up from today too and although you can get around it by changing your car to a super efficient electric model, that seems a bit excessive to beat the average increase of £5 per car. Some will find that their bill increases by up to £65 a year as car tax is based on emmissions and efficiency but I think most will fall into the £5 category. 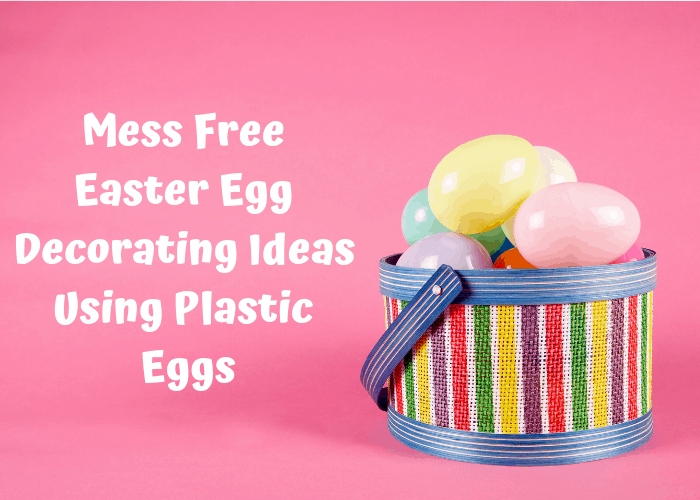 Mess Free Easter Egg Decorating Ideas Using Plastic Eggs….